St. Jude Medical, Inc. (NYSE:STJ), a global medical device company, today announced the European launch of the company's most advanced tissue valve — the Trifecta™ valve with Glide™ Technology (GT) — for the treatment of diseased, damaged or malfunctioning aortic heart valves, which control blood flow from the heart to the rest of the body. Tissue aortic valve replacement can improve quality of life for patients suffering heart failure or aortic regurgitation, ease symptoms and help patients live longer lives. For physicians, the new Trifecta™ GT tissue valve offers enhanced valve delivery to ease implantation in challenging anatomies and surgical approaches combined with the proven best-in-class hemodynamic excellence of the Trifecta™ valve. The first Trifecta GT valve was implanted by Dr. Gebrine El Khoury, of St-Luc Hospital in Brussels, Belgium. Dr. El Khoury has extensive experience with the original Trifecta tissue valve and commented that the new Trifecta GT tissue valve, "will help us provide the best care possible for our patients in need of aortic valve replacement and especially those with challenging clinical cases." The new Trifecta GT valve builds on St. Jude Medical's decades-long legacy of designing and developing mechanical and tissue heart valves for patients in need of options to replace their damaged or diseased native heart valves. The original Trifecta valve provided patients a tissue valve that was proven to function in the same way as their native aortic valve. Now, the Trifecta GT tissue valve has improved upon the original, and provides physicians a tissue valve option that is easier to implant but that retains its optimal hemodynamic (circulatory) performance. "The excellent hemodynamic performance of the valve improves quality of life by restoring blood flow both at rest and during exercise, making it an outstanding choice for a wide range of patients," said Pr. Alain Leguerrier, of Centre Hospitalier Universitaire de Rennes in Rennes, France. "The enhancements to the Trifecta GT tissue valve facilitate improved valve parachuting and seating, which means the valve can gently glide into place." Engineered to reduce wear and deterioration over time, the Trifecta GT valve stent is covered with tissue to allow improved tissue-to-tissue contact when the leaflets open and close. Additionally, the valve is treated with St. Jude Medical's Linx™ AC Treatment, an anticalcification treatment designed to reduce tissue mineralization (hardening). The valve's fatigue-resistant titanium stent provides a supportive frame within a patient's heart for added durability. "For years, St. Jude Medical has dedicated significant resources to develop best-in-class heart valve replacement options while refining our devices based on physician feedback and clinical outcomes," said Philip Ebeling, vice president and chief technology officer at St. Jude Medical. "The improved design of the Trifecta GT tissue valve allows for smoother placement while providing nearly unobstructed blood flow over the life of the valve. The Trifecta GT tissue valve is a true testament to our commitment to the cardiac surgery community and the patients they treat." 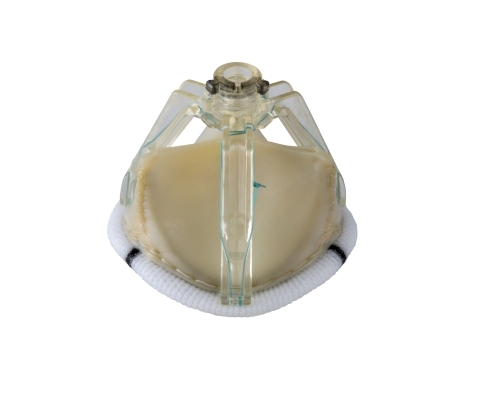 The Trifecta GT tissue valve received CE Mark approval in February 2016, further expanding the St. Jude Medical valve product portfolio, which includes market-leading mechanical heart valves, aortic and mitral tissue valves, valve repair annuloplasty rings and the Portico™ TAVR valve available currently in Europe.